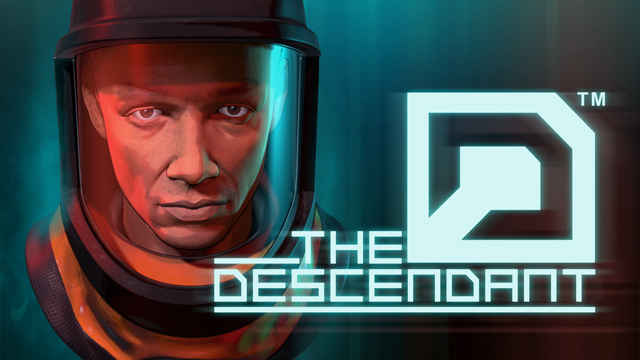 The Descendant is a five part episodic adventure game where the end of the world is only the start. After climate change wrecked the planet, a man-made extinction event wiped humankind off the face of the Earth. Only a few thousand ‘descendants of humanity’ were hand-picked to survive the apocalypse, cryogenically suspended in underground bunkers known as Arks. Fast forward a few centuries, the world is now recovering from the nuclear holocaust, and all the Arks reopened, except one — Ark-01. One of the novel approaches we took from the beginning of the game was giving the user the possibility to play between two timelines, one in the past and one in the present, and creating links and dependencies between events that happen in one or the other. We believe, this adds a new interesting dimension to the game as the player will not just have to think about the circumstances in the current timeline but also how it might affect his playthrough with the other character. Every action and choice you make directly impacts who lives and dies within Ark-01, and some choices will not have an obvious impact from the beginning but you will realise it as the story unfolds. To tell the story in the best possible way and keep the player immersed throughout the whole adventure, we went to great lengths to set up our own internal moCap studio so we can record better animations for our characters. Even though we’re a small team, we still aimed to deliver the highest quality possible in all areas of the game. That meant that every single contribution from each member of the team is vital to our success. The process often starts with words on a page based on how the writer envisions the story, then it gets refined by our Cinematic designers and Game designers. Once those words are interpreted by the creative talents on the team, those scenes get the Art treatment and all throughout the process our talented programming team provides supports either with feature implementation or new tools that make the whole process better and faster. The end goal is creating a unique adventure that you all can experience, explore and enjoy. Creating this universe starts by defining the style, atmosphere and intention of the game with concept art like in the image above, then our environment artists start creating the different locations for each episode and scene and the designers start populating those locations to bring them to life. Our main characters are the most important part of our game as through their eyes and interactions we will see the story unfold. All four of them are quite unique with different traits and backgrounds that make them very interesting. Below we want to show you the evolution they had from the concept phase until today. Mia Howard is the main female character of our story. She is more than she projects at first and will play a critical role on how the story unfolds, as her actions are the ones that have the most ramifications to what happens both in the other timeline and in the end of the story. Those who have played Episode 1 already have seen some hints of that, and Episode 2 will give even more.Now, let’s take a look at how we actually “created” her (or her model more precisely). Every character is built in several steps. Based on the character’s approved bio, a brief is given to our concept artist to produce different versions of that character and a concept model is created. This is an early version of the character’s clothes. We can already see some of the distinctive elements of our character in its final version and also appreciate the evolution it suffered until its final result. First of all we need to sculpt a very detailed model, that will be later used as a base to transfer these details to a model with lower resolution. The hi-poly model represented in the following pictures is composed by 27 Millions of polygons. Once we have an approved hi-poly model, we need to transfer all these details to a low-poly model. Simply it’s not possible to move millions of polygons for a single character with current technology. Re-topology: a lower resolution is built on top of the original model. The Descendant low-poly characters are fairly detailed, with a count of 25000 triangles on average. For us this was a good compromise between quality for cinematics and playability and performance. UVs: once the low-poly model is ready, it is unwrapped to be textured. When UVs are ready, we can transfer the details from the hi-poly to the low-poly, using special textures like normal maps. To do so, we overlap the hi-poly to the low-poly, and then, for every face in the hi-poly, a ray is shot towards the direction of the low-poly. When this ray finally hits the low-poly surface, it is then stored in a texture as a color (where r,g,b values are used instead of x,y,z). The next step is texturing where maps are added to the model as can be seen in the image below. An accelerated view of the whole process. We are currently finalising Episode 2 which will be released May 26, just before Unite Europe Conference this year and the rest of the season will be released before the end of 2016. In this second episode, we learn more about our protagonists, the Ark and what happened to the descendants. We hope you enjoyed getting to know a little bit more about our project and how we made our characters. You can find us in any of the links below. We are Gaming Corps, a Swedish game company located north of Stockholm in the university town of Uppsala. The company was founded in 2014 by industry veterans with over 15 years’ experience, we are about 30 passionate individuals with the vision of making high quality interactive storytelling games. We see interactive storytelling differently. Ultimately, our vision is to deliver innovative and original stories to consumers worldwide across a wide range of platforms. Whether these stories are original creations or existing IPs that we develop with partners, our intention is to make the interactive part of story telling shine and bring players together in the ultimate collaborative experience around stories we tell. Storytelling as a Service is our mission.